Day 3: At Shira Hut Close to Glaciated Dome of Kibo. Trek the Moir Valley and hike to reach the summit of Little Lent hill then the trail go through a field of rock slabs that clink as they are walked on. The final part of the walk undulates until reaching the location of Buffalo Camp. Ascent by torchlight at about midnight so that we can be up on the Crater rim by sunrise. Trek to Gilmans Point in about five or six hours. Rest tto enjoy the sunrise over Mawenzi. 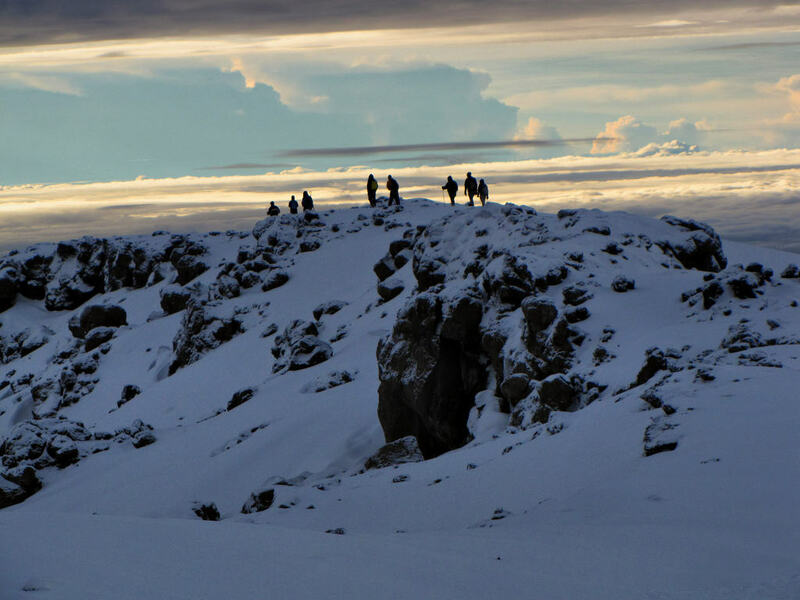 Continue with the trail to the west along the crater rim to Uhuru Peak (5,896 m) The retrace continue to Stella Point and then to Barafu Camp then Millenium Camp. Continue to descent to mweka gate and ocoffee and banana farms to Mweka village.